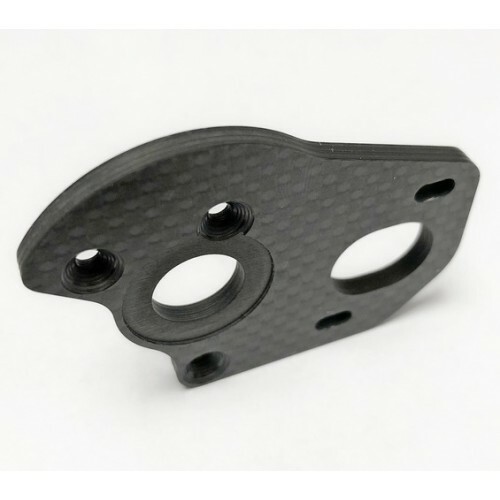 Shave weight on your buggy or truck with a rigid 3.5mm carbon fiber laydown motor plate. Tested at OCRC Stock Nationals while winning the 40+ class, the strength and rigity of the Schelle design did not skip a beat. 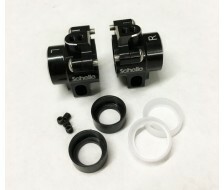 Schelle took the motor plate up to 3.5mm thick (with a clearance cut for the slipper clutch) so that it would hold the motor rigid while still shaving weight off the chassis. Fits Layback and Laydown Gearboxes for B6.1, B6.1D, T6.1, and SC6.1. 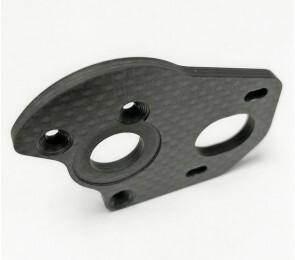 3.5mm Thick Carbon Fiber for extreme rigidity. 8.3 grams total weight vs. 11.4 grams for aluminum.